Whenever you hear about a bizarre situation or, pardon my French, a real shitshow, you can’t help but wonder what it must have been like to be a fly on the wall while it was all going down. Well, when it comes to the infamous Fyre Festival, you’re in luck. Fyre: The Greatest Party That Never Happened is a new documentary dropping on Netflix that gets into just that. If you were fascinated at all by the whole Fyre situation, prepare to be blown away by the real life insanity of what occurred. Your jaw will be agape during large portions of the film. 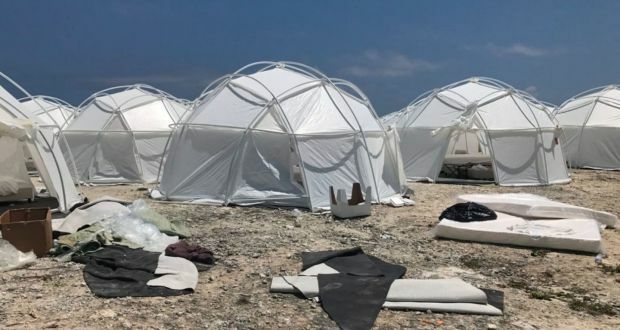 The doc is a look at how the Fyre Festival came together, as well as how it came crashing down, in spectacular fashion. 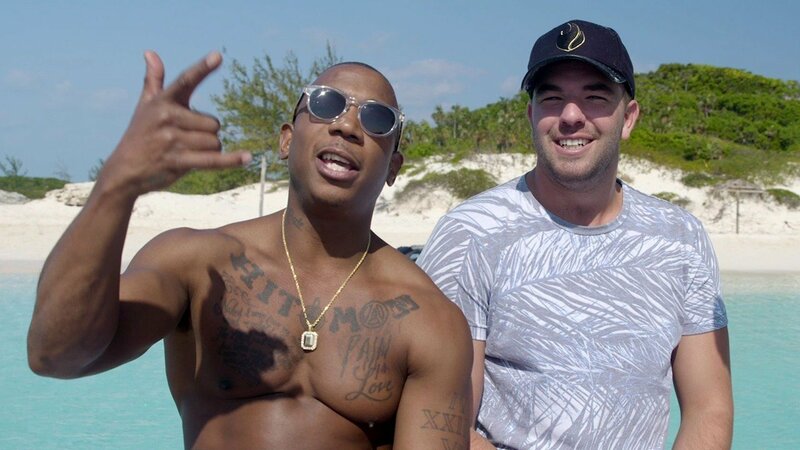 Mixing plenty of behind the scenes footage, as well as talking heads, we watch how “entrepreneur” Billy McFarland and musician Ja Rule founded Fyre, how it led to the Fyre Festival, and what their initial vision was. Having located an island that used to belong to Pablo Escobar, they perceived it as the perfect place to hold an exclusive gathering. As their vision grew and grew, their employees began to notice how unrealistic it all was. People are spending thousands to come, due in large part to supermodels and Instagram influencers being tapped to promote. It all leads to one of the great disasters, all captured on social media, for the world to see. Chris Smith directs. There’s something truly fascination about the movie. As a documentary, it hits on a number of aspects of why Fyre so compels. On the one hand, you get to watch a grand idea developed, see its issues surface, get ignored, and then swallow the thing whole. That crumbling of a business of oddly riveting. Then, there’s the almost gleeful sense of watching spoiled rich kids and Instagram influencers discover that their exclusive festival is a nightmare. It’s probably petty, sure, but it’s hard not to laugh and think that these folks would be doing the exact same thing if it weren’t them. On a whole other level, watching someone like McFarland eventually get his just desserts is amazing. For a doc to capture a legitimately terrible person going down for his crimes? That’s tremendous. Director Chris Smith is probably best known for being the mastermind behind one of the greatest documentaries ever made, American Movie. Now, he has another high profile one with Fyre: The Greatest Party That Never Happened. In between, he’s actually made some other interesting docs, such as The Yes Men and especially Jim & Andy: The Great Beyond – Featuring a Very Special, Contractually Obligated Mention of Tony Clifton. Smith has a keen eye for observing people and their unusual actions. This new work of his is just the latest example of that. 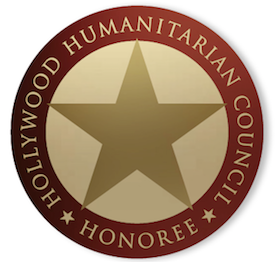 I doubt it’ll gain much Academy Award traction for Best Documentary Feature, but it deserves to be remembered later on in the year. Be sure to check out Fyre: The Greatest Party That Never Happened, now streaming on Netflix!